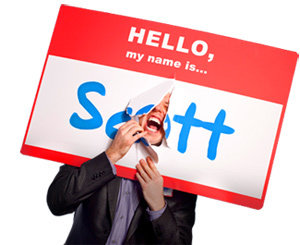 How to Create an Autoresponder That Customers Print Out & Show to Their Boss - HELLO, my name is Scott! 1. Who has the best autoresponder you’ve ever heard? 2. When was the last time somebody complimented your autoresponder? 3. What could you possibly have to lose by making your autoresponder more fun, more memorable, more unexpected and more readable? HERE’S THE DEAL: Your autoresponder isn’t (just) an email. It’s part of your brand. It’s an extension of your values. It’s the arbiter of your boundaries. And yet, it’s one of the most commonly overlooked branding hotspots. And that’s the scary part. Some people send emails (just like this) over two hundred times a day. No value. No fun. No brand. No engagement. No honesty. No memorability. No humanity. No approachability. Look, just because a computer sends the message doesn’t mean it has to SOUND like a computer. On the other hand: What if your autoresponder was so good that people told their friends about it? So good that people actually printed out a copy of it to show to their boss? Think that would boost business in a struggling economy? a. Does it sound like a human, or a Hewlett Packard? b. Are there any words in this email I wouldn’t use in everyday conversation? REMEMBER: These filters will keep your email approachable and real. How are you fully integrating your humanity into your autoresponder? 2. Keep it short. It’s an autoresponder, not an autobiography. People don’t care and they don’t have time. REMEMBER: Actually, that’s it for this example. Does this email demonstrate a respect for others’ busy schedules? a. Include your brand mantra. b. Ask people a question of the day. d. “Please call if it can’t wait till 11am or 4pm.” (Thanks this out. How radically honest is your autoresponder? 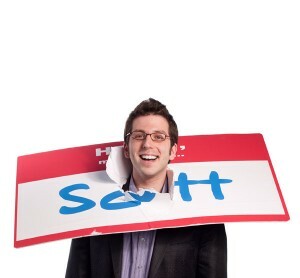 “Also, while you’re poking around www.hellomyanmeisscott.com, my humble request is that you: Buy all eight of my books, hire me to speak at your organization’s next meeting, order customized video learning modules from NametagTV.com and rent my brain for a one-on-one business coaching session. Interestingly, about 30% of my recipients email me back a second time just to compliment this “playful pitch.” And about 1% of them actually buys something or hires me. Cool! REMEMBER: We live in a sales-resistant culture. How does your autoresponder disarm people? How could you leverage your autoresponder as client attraction tool? REMEMBER: Not everybody likes email. Some prefer the phone. Some prefer snail mail. How many contact options does your autoresponder offer? 7. Deliver value. Access doesn’t always mean presence. You can still answer people’s questions by including helpful resources For example, you might offer a link to your FAQ page or downloadable ebook. Or a link to your travel calendar. What about an interview you recently did? That’d be unexpected. REMEMBER: A response demonstrates a sense of urgency. It’s also helpful and brand-consistent. Does your autoresponder deliver value? What resource could you send people? How else could you help people in your absence? THE BOTTOM LINE: Boring autoresponders are taking money out of your wallet. 50,000 times a year, remember? REMEMBER: Just because a computer sends the message doesn’t mean it has to SOUND like a computer. Because it’s not just an autoresponder – it’s a mechanism for delivering value, declaring val-UES and solidifying boundaries. Who’s printing out YOUR autoresponder and showing it to their boss? For the list called, “30 Ways to become the Most Interesting Person You Know,” send an email to me, and I’ll send you the list for free!